When he was being recruited he said he was going to play quarterback in college. Most college coaches said something like that’s nice but we want you to play safety. “That chip on my shoulder, I don’t think it goes anywhere. I think it has gotten me to where I am and it’s who I am at this point,” McSorley said at the Big Ten football media days. 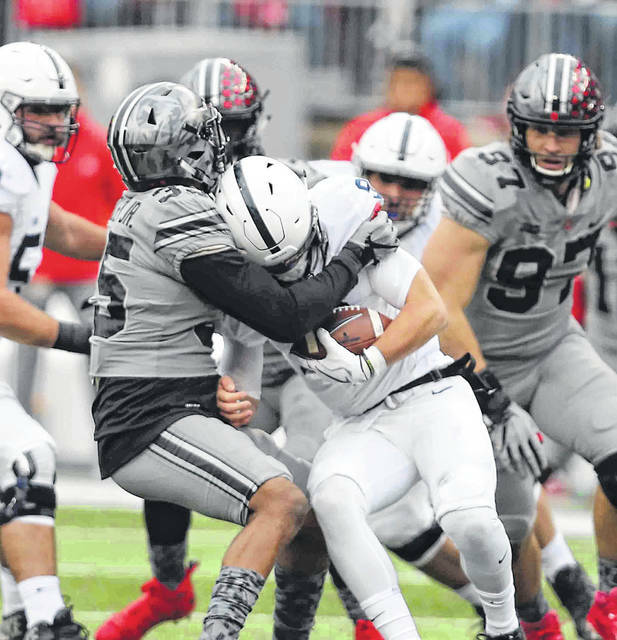 He completed 17 of 29 passes for 192 yards and two touchdowns and rushed for 49 yards when Ohio State wiped out a 15-point Penn State lead in the fourth quarter to win 39-38 last season. In Penn State’s 24-21 win in State College, Pa., in 2016 he was 8 of 23 passing for 154 yards and a touchdown and ran for 63 yards and a touchdown.